It is finally December! YAY! So close to Christmas guys! I’m still working on some Harry Potter ornaments that I would like to share with you guys. Here is my latest one, a Harry Potter Envelope. 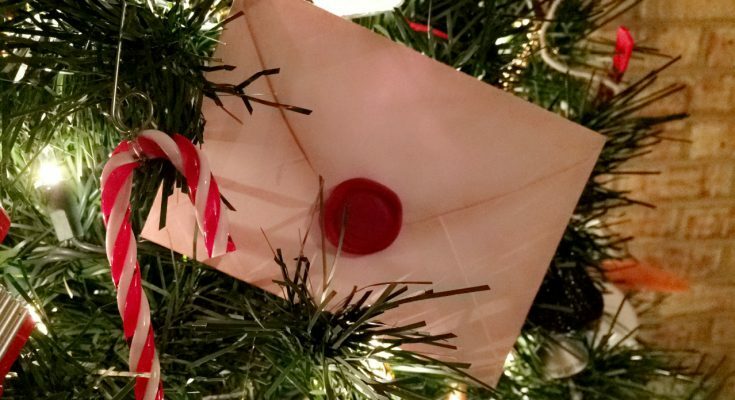 This looks so cute put into the Christmas tree. 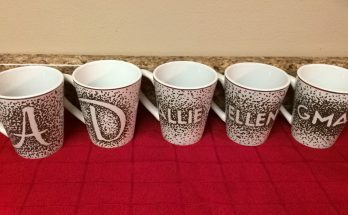 I can’t even handle the awesomeness. Below I have a list of materials needed to make this and steps on how to achieve it! I promise it is so easy and you’ll will be so happy with the way they turn out! Enjoy! 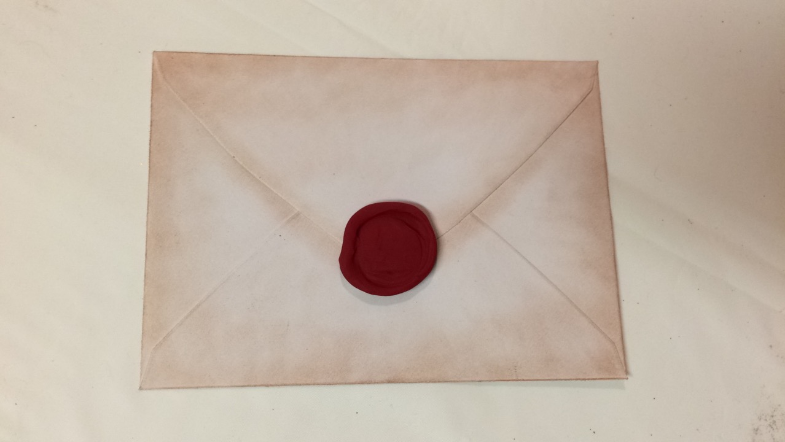 [Step 1]: Make your wax seal. 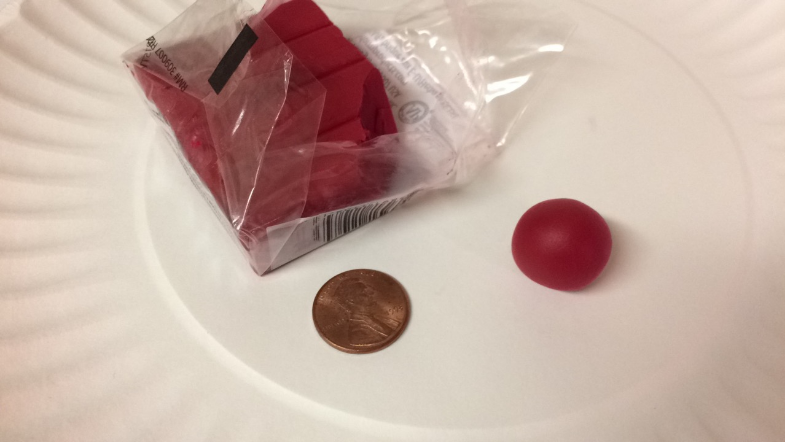 Take your red polymer clay and roll it into a ball. 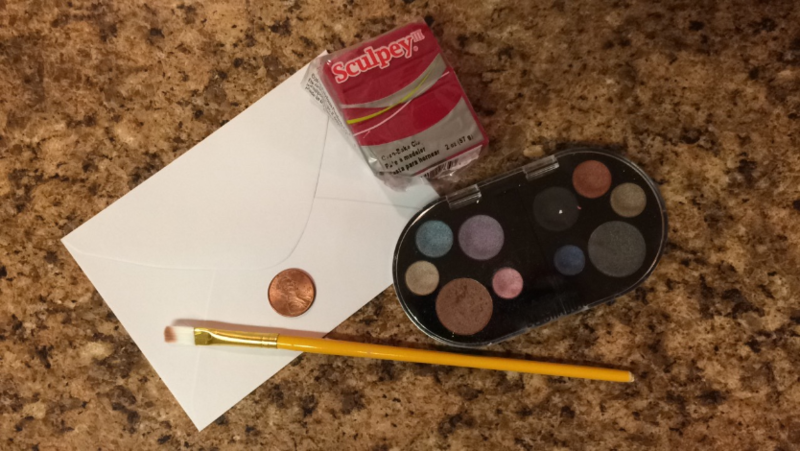 Carefully press the penny into the ball of clay until it is flat. Then make the edges look messy since a wax seal is never a perfect circle. 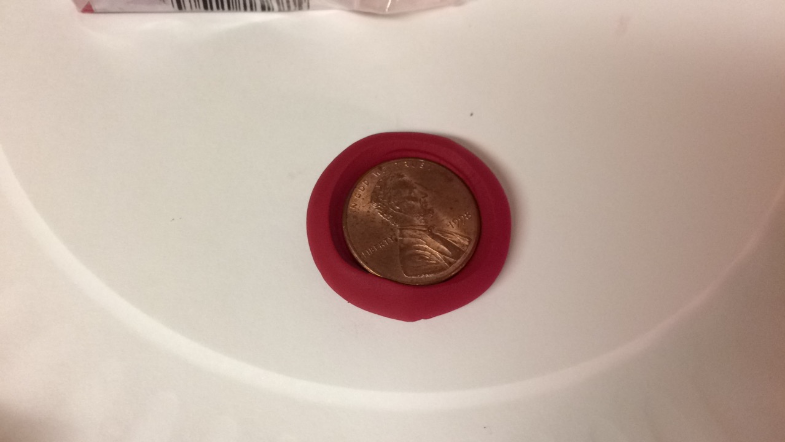 Take the penny out and when the wax seal looks good to you its time to bake! [Step 2]: Bake your wax seal. 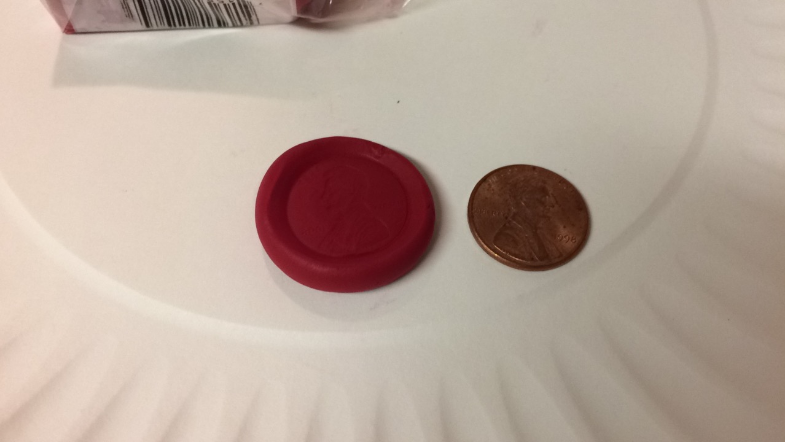 Since I was using the brand Sculpey for the wax seal I baked it at 275 degrees Fahrenheit for 15 minutes. If you are using Fimo or another brand just follow the instructions on the packaging. [Step 3]: Distress your envelope. 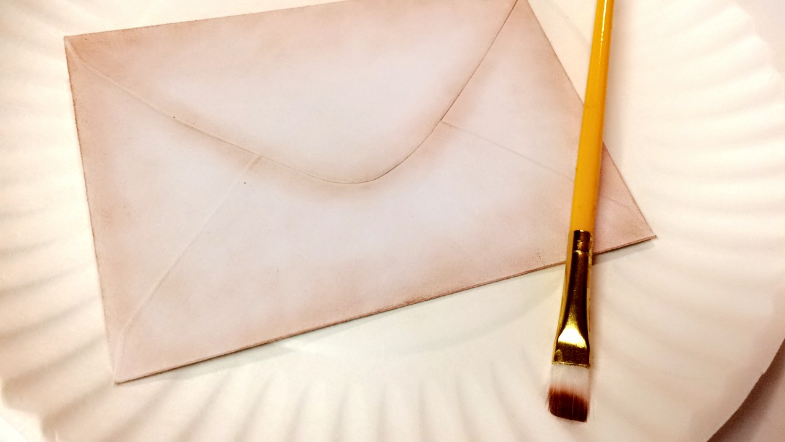 You want your envelope to have an old distressed look to it so using brown eye shadow is what I came up with. 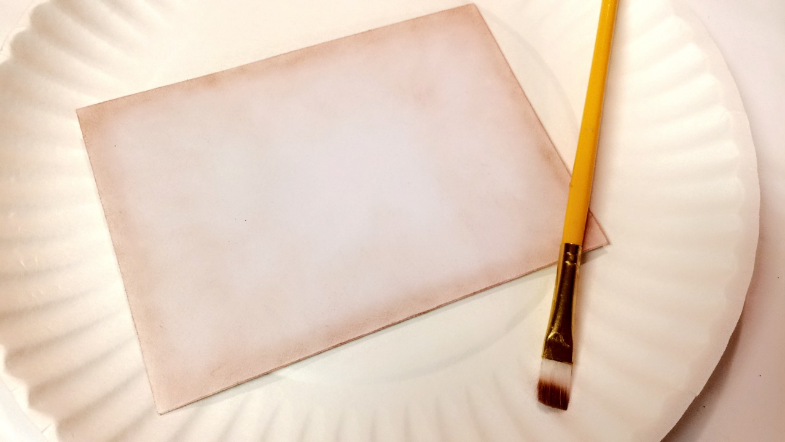 Another method could be using brown chalk if you have some. 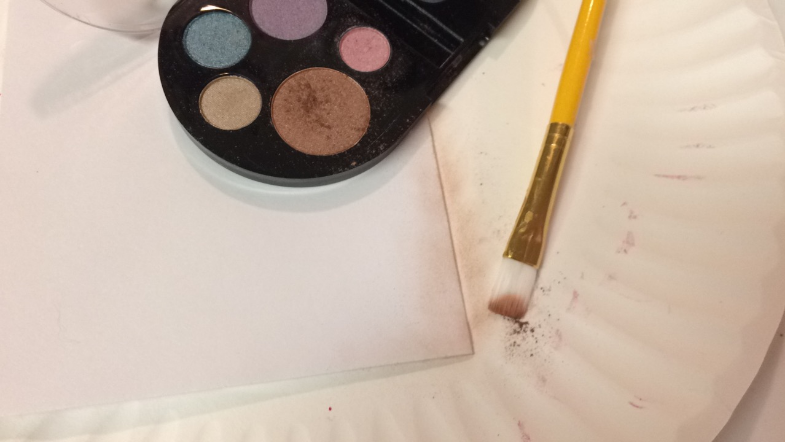 Anyway, use a clean brush and just go along the edges with the eye shadow until it looks good to you! [Step 4]: Glue wax seal on. 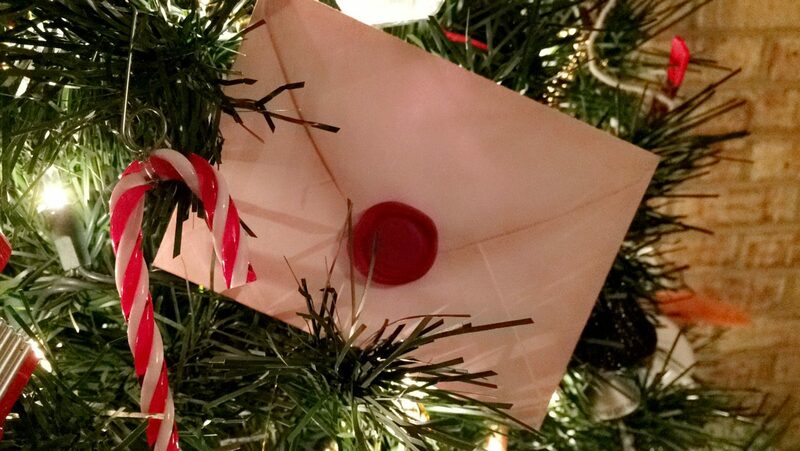 Once you are done with your envelop the wax seal should be cooled down enough to glue it on! I just used some regular Elmer’s glue to attach it. After that you are done!!! I’m using this in my boyfriend and I’s Harry Potter themed Christmas tree this year and it looks so good! This is super easy to make and I hope you enjoyed! 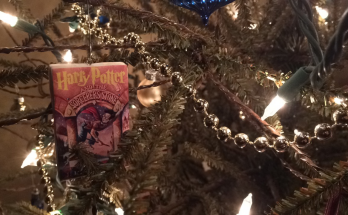 If you want to learn how to make other Harry Potter ornaments you can check out my Harry Potter Book Cover Ornaments and my Harry Potter Magic Wand Ornaments! 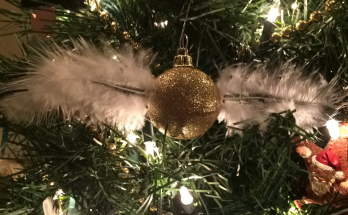 I’ll also be posting a DIY on how to make a Snitch ornament soon! Be on the look out for that! Leave a comment down below if you create this! Thanks!